I am thrilled with the Farrah Summer Tour! 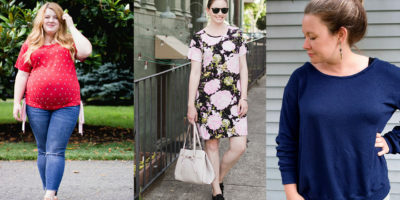 All of the versions this week really blew me away and it is so great to see everyone’s personal style shine through. To be honest, I was a little nervous to ask these talented ladies to join me. I am such a fan of their work and as much as I wanted to have them on this tour, I never want to pressure anyone to sew something that maybe isn’t their jam. So you can imagine the epic dance moves happening when they said yes. They are all true talents and put so much into their posts that I hope you check them all out! We were all really excited to have Miss Matatabi as the fabric sponsor for this tour. All of the fabric on this tour was provided to the bloggers and to be honest that’s probably why they joined the tour, and I don’t blame them! The fabric collection Frances curates in her shop is stunning. Every time I make a purchase, the fabric goes into my precious stash collection only to be used for my very favorite makes. You totally have a precious stash too, right? I want to give huge thanks to Leslie of Threadbear Garments (and the Chalk and Notch Team) for hosting this tour with me – you are the best and such a great friend! Here is the roundup of the tour since you won’t want to miss any of these posts! 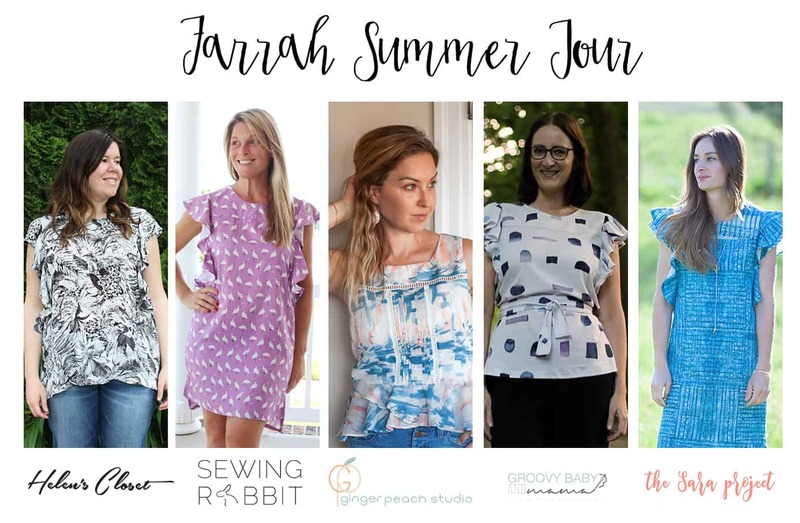 As a reminder, you can grab your copy of the Farrah Pattern with an exclusive blogger coupon valid until Monday, June 26th. Make sure to read their posts for coupon details. There is also a $50 Miss Matatabi gift certificate available by entering the Rafflecopter, also located in each post. Aren’t these Farrahs to die for!! I can’t thank these ladies enough, not only for joining the Farrah Summer Tour and creating the most beautiful Farrahs I have seen, but for also being so lovely to work with. As a designer, it really is the best thing to see your design in the hands of such creative talent! Thanks a million ladies! A huge thank you to our sponsor Miss Matatabi! Since browsing Miss Matatabi’s shop is one of my favorite things to do, I thought I’d link to a few more Farrah fabric recommendations that were inspired by this tour! Happy shopping! Don’t forget to use your coupon code for the Farrah Pattern! Thanks so much for following along and I hope you are inspired to sew your own Farrah. When you do, make sure to tag @chalkandnotch and use the hashtags #farrahpattern #chalkandnotchpatterns so I can find you! Thanks for checking out the Farrah Summer Tour!